Is an Apocalypse Now Game in the Works? Some intrepid internet sleuthing has turned up evidence that an Apocalypse Now videogame could be on the way. Movie games are a dicey affair. At best, publishers can hope to ride a wave of summer blockbuster popularity to profitable sales of some half-baked tie-in or other, but of course that plan relies on a movie being a major mainstream hit and sufficiently in the public eye that casual gamers who don't know any better will catch sight of it on a shelf somewhere and pick it up based solely on the title on the front of the box. Even then, the results of such adaptations are almost inevitably disaster and tragedy, which could naturally lead a person to wonder why anyone would think that Apocalypse Now is a good choice for such a screen-to-console translation. Nonetheless, it may be happening, based on information dug up by Superannuation that revealed a company nobody seems to have heard of before called Killspace Entertainment and two suspicious-sounding domain names, ApocalypseNowGame.com and WarIsNotAGame.net, registered to it. Neither has any actual content at this particular moment but another site, Digital Development Management, includes Killspace on its client list, describing it as a first and third-person action game developer for the PC, Xbox 360, PlayStation 3, iPhone and Facebook platforms. "The team is composed of developers with talent culled from Obsidian, Pandemic, Red 5 and EALA," the site's client overview brochure claims. "This pool of talent has over 80 shipped titles in the last decade and nearly 200 years of collective development experience." The brochure says the studio is currently working on an original IP with a major publisher as well as an unannounced licensed IP, while a LinkedIn profile indicates that Killspace has hired employees from developers including Pandemic and Rockstar. According to Joystiq, the Killspace website, which a bit oddly is also available through killswitchentertainment.com (or perhaps not; I've mixed up "switch" and "space" more than once while writing this) has a "strange video," but it appears to have been removed; at this point, there's just an email address and a link leading through the Killspace logo, which unfortunately requires a user name and password, neither of which I have. 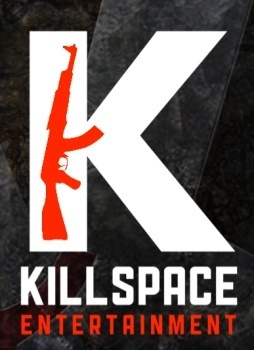 Strangely enough, however, despite the apparent newness of all this, an animated logo for Killspace Entertainment different from the one on the website was uploaded to YouTube nine months ago. Is an Apocalypse Now game in the offing? Even more interesting, what kind of game could it possibly be? A generic Vietnam-era shooter hardly seems worthy of the license; some kind of adventure-RPG hybrid, maybe? I have a feeling that the sleuthing isn't done just yet.